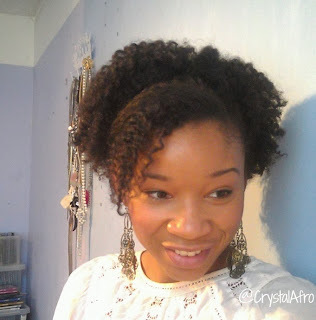 One thing I didn't mention in my previous post about about Starter Tips for Natural Hair >here<, was 'Styling'. "How will I do my hair?" Again, as with overcoming most of life's challenges, it begins with a 'can do' attitude. So stop with the negative thinking. Examples of this include "Natural hair is hard to manage" or "You cant do as much with natural hair as you can with straightened hair". I used to think both these things, but I've managed to prove myself wrong, and now I have a whole collection of blog posts >here< as well as a catalogue of pics on Instagram >here< as evidence. Here are a few styles and techniques that are pretty simple to master and really helped me as newly natural, with limited skills. 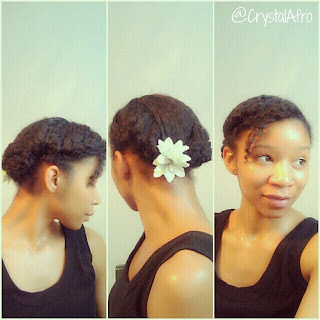 A simple classic for all hair lengths, and all you really need is 1 band. Use a stretchy headband. Place it around your head (you may need to wrap it around twice), and push it backwards over your hair. Make sure your band is tight enough to stay but not so tight its squeezing into your head. For a smaller puff, push the band further backwards and higher at the back of your head. When you get confident play around with the placement of your puff, make it higher, or bring it to the front. These have a tendancy to look more complicated than they actually are. They basically involve smoothing the hair with your hand or a brush, rolling it the direction you want, and pinning it into place. Any loose hairs, tuck them in and secure with pins. 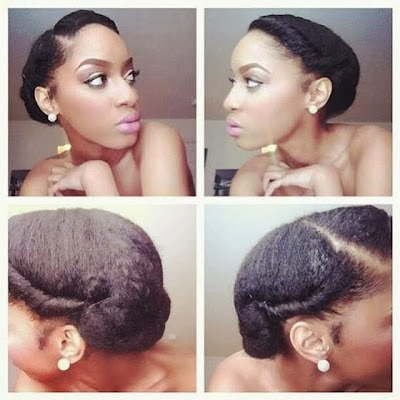 I find roll, tuck and pin styles to be the quickest form of protective styling and they are a great alternative for anyone who can't canerow or flat-twist yet. Again, as you get more confident, your rolling, tucking and pinning can become as extravagant and glamorous or simple and neat as you like. 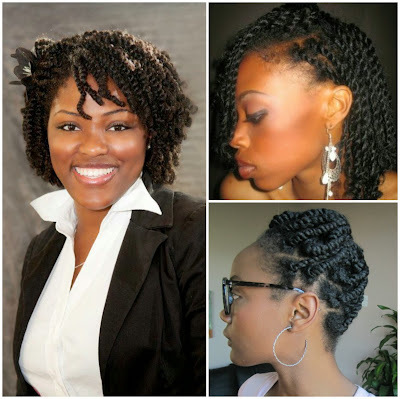 Basic 2-Strand twists, where you take 2 strands of hair and twist them around each other. These can be left loose or pinned up. They are a great low manipulation style, as they can last for a few days (sometimes weeks, but I'm never that lucky). I almost always twist my hair after I've washed it, as it keeps my hair detangled once their dry. 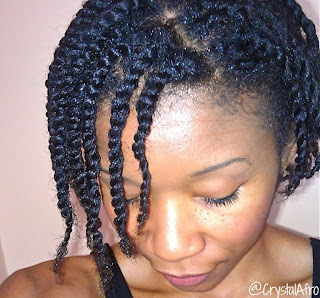 Also once they're dry you can undo them and where them as Twistout (but we'll discuss that in the next post). I'll be adding to this post with a few more styles soon. If you try any of them let me know how you get on. 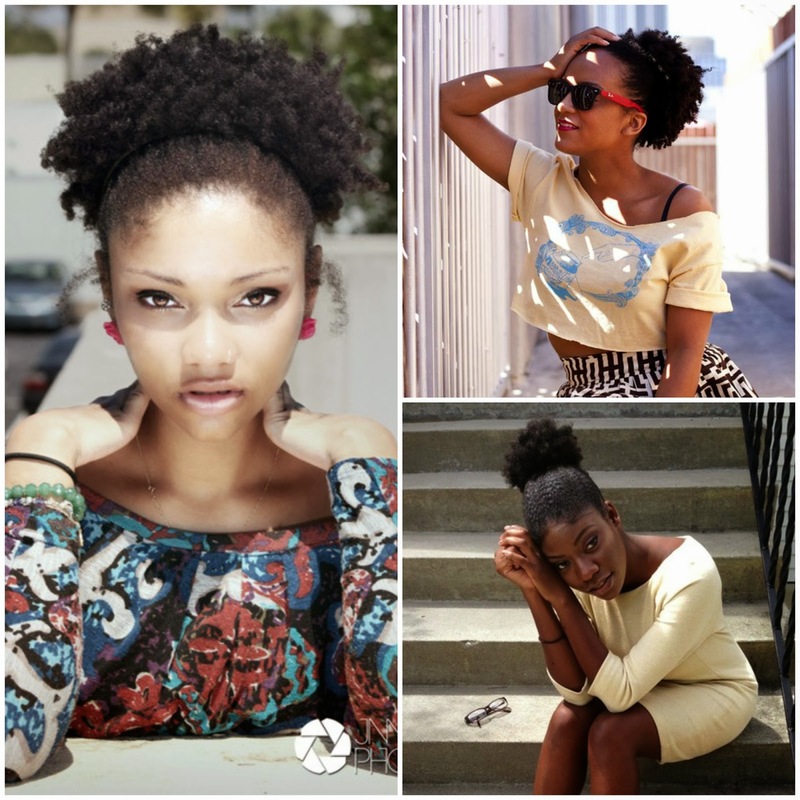 What simple styles would you recommend for newly naturals? This is so true. When I started my natural hair journey, I wore my hair in a puff for a long time. This is brilliant. I am now 9 months into my natural journey and struggling.